​Email the RFW Track Secretary if you are interested in joining in these sessions, no track experience required. 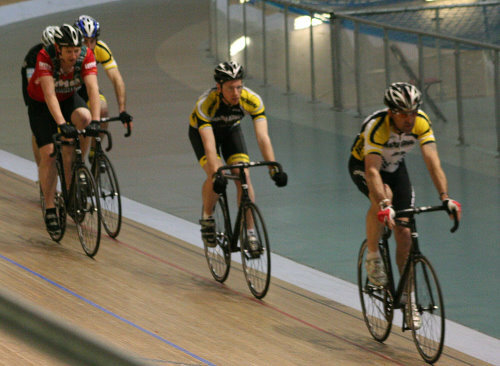 After a few taster sessions organised over the last few years, we are now planning a regular monthly track session for club members and friends at the splendid Derby Arena velodrome. This indoor 250m track was opened in the summer of 2015 and two members of the club raced in the inaugural Track League there. If you know nothing about track, don't worry, it is very simple. 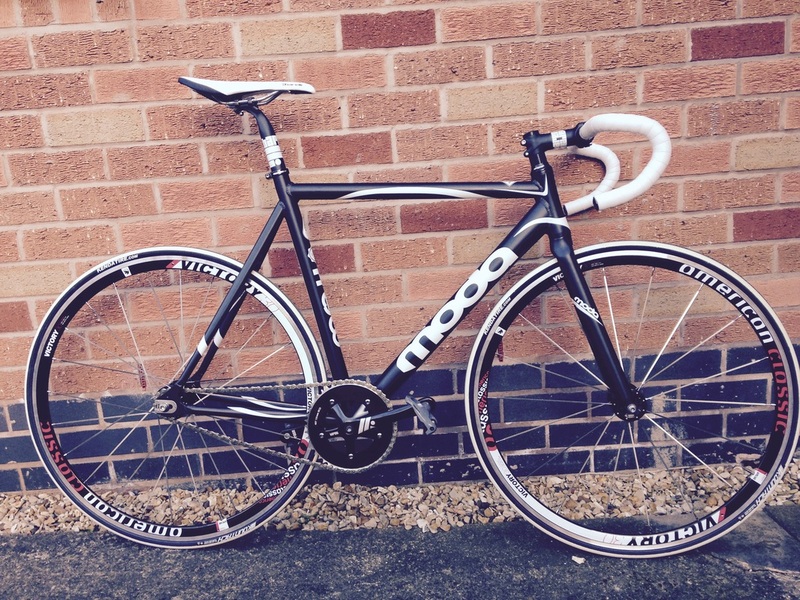 For a start there are no gears to think about, and no brakes either (check out the track bike picture). This sounds scary and dangerous, but it isn't and very quickly you will be lapping around on the boards feeling in more direct control of your steed than ever before. It's highly addictive! Club sessions will be aimed initially at getting those new to and interested in the track up to speed with accreditation sessions, while at the same time giving the more experienced riders a chance to hone their racing skills through race-based exercises. 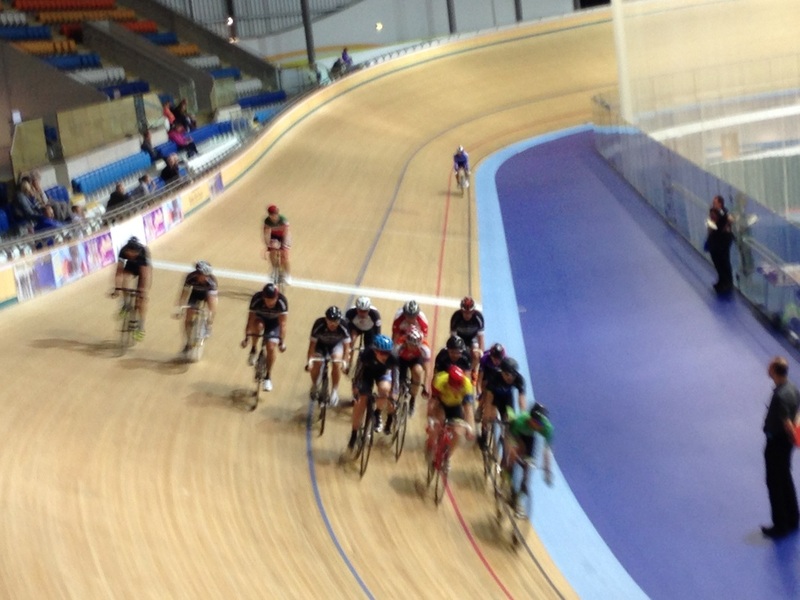 We aim to increase the Rocko involvement in the Track Leagues. To ensure the sessions are cost-effective and competitive, we are sharing these sessions with our friends in WVCC, Kettering CC and Numplumz, as well as other interested individuals. We are particularly keen to promote women and junior participation. In the Rocko track sessions there are groups building their race skills or (for less experienced riders) aiming towards accreditation to ride the track (which is needed before you can enter track races). These are shared sessions with other local riders, and should lead to inter-club competition over time. 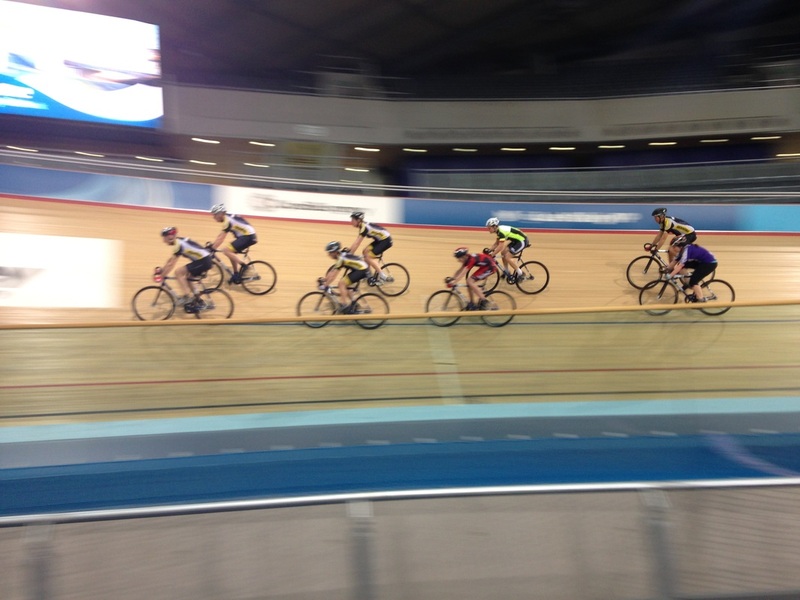 ﻿﻿Once accredited, individuals can enter track league races to pit their skills and performance against others. There is an open leagues and also one for veteran (over 40) riders. Our nearest velodrome is Derby Arena, which opened in 2015. It runs public sessions to try out track, to get accredited and to develop further.